For two straight years, Rain has been a Sesame Street baby. So her first 2 birthdays has been Sesame Street-themed. 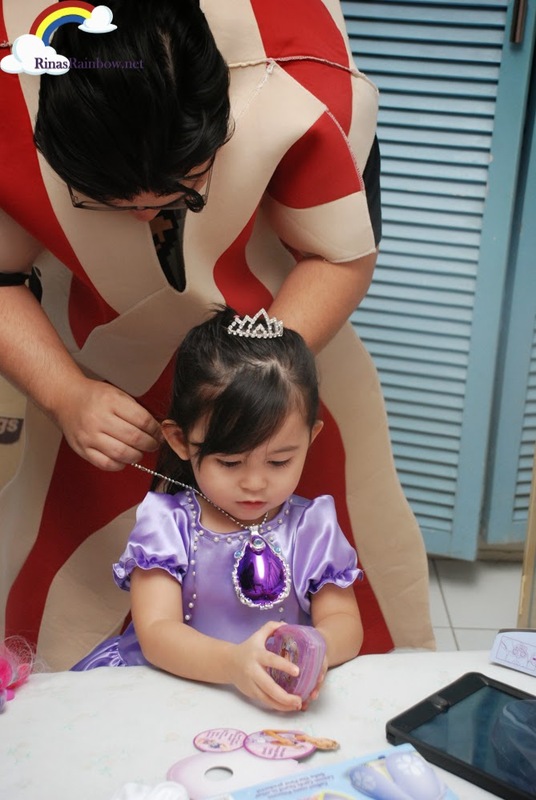 But as she turns 3, (and with a little influence from her mama hehehe) she has turned her attention to all things princess-y! 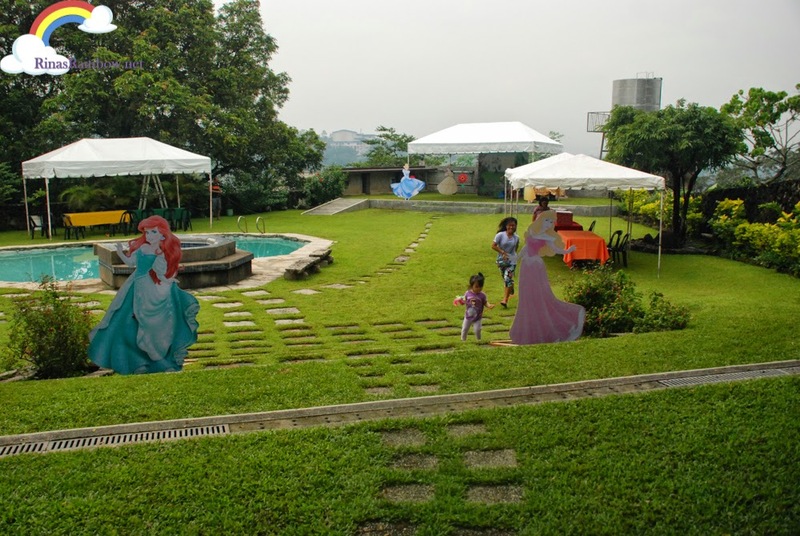 And as always, my ever dependable mom-in-law transformed her backyard into a Disney Princess Fantasy land! I must say she really did an excellent excellent job! So I wanted to share it with you! Presenting... 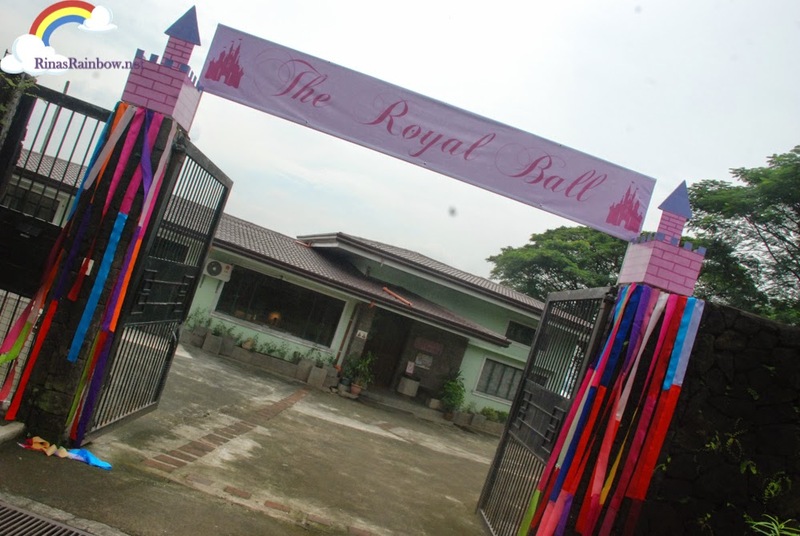 Rain's Royal Ball: A Costume Party! 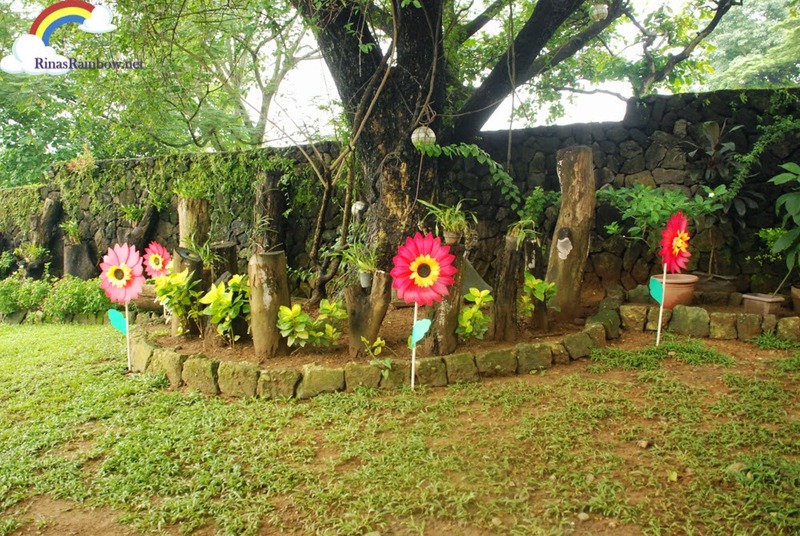 But the entrance to the party is by the side, leading to the garden. 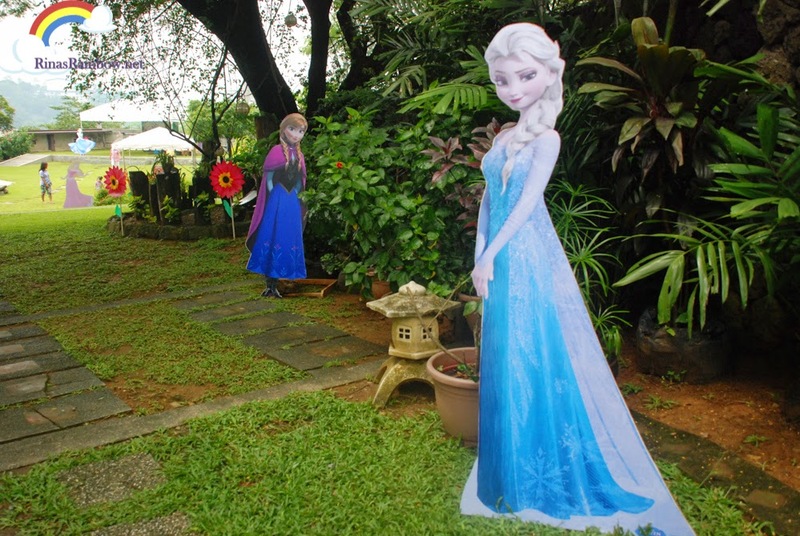 This is where Queen Elsa and Princess Anna are hanging out :-) The standees are basically tarpaulins glued to plywood and shaped. Kudos to Ruben! My mom's happy helper! 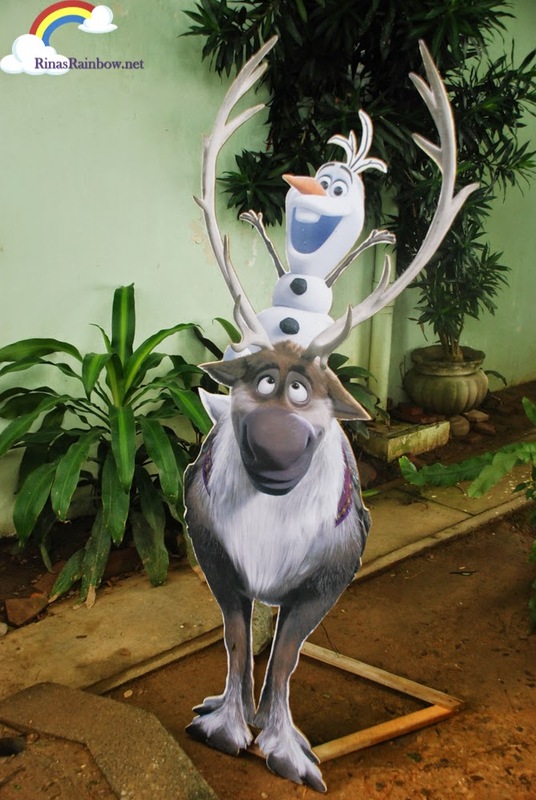 And beside that you will see Sven and Olaf! Love these pretty plastic flowers she got from Divisoria! Walk further and you will see Princess Ariel and Princess Aurora! 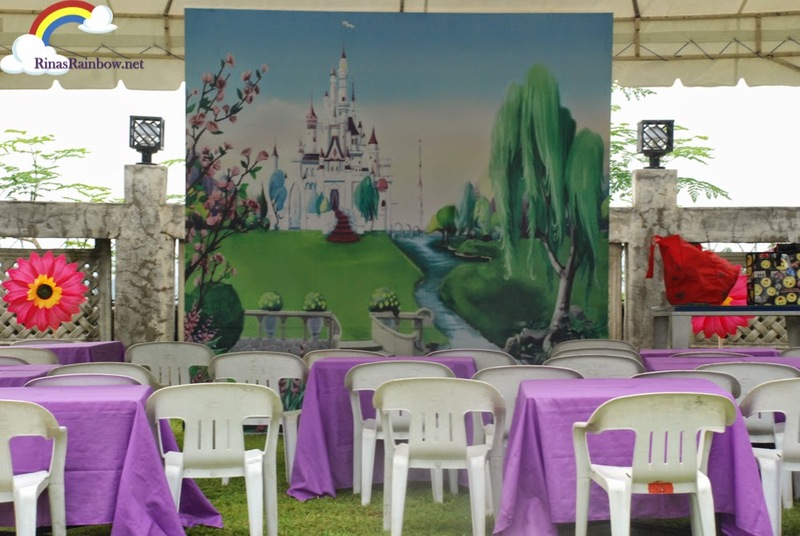 At the very back is the area for children where Cinderella, Snow White, Belle, and Rapunzel awaits. This is all where there the magic begins! Mom also had a kingdom backdrop printed which I think looks really nice! 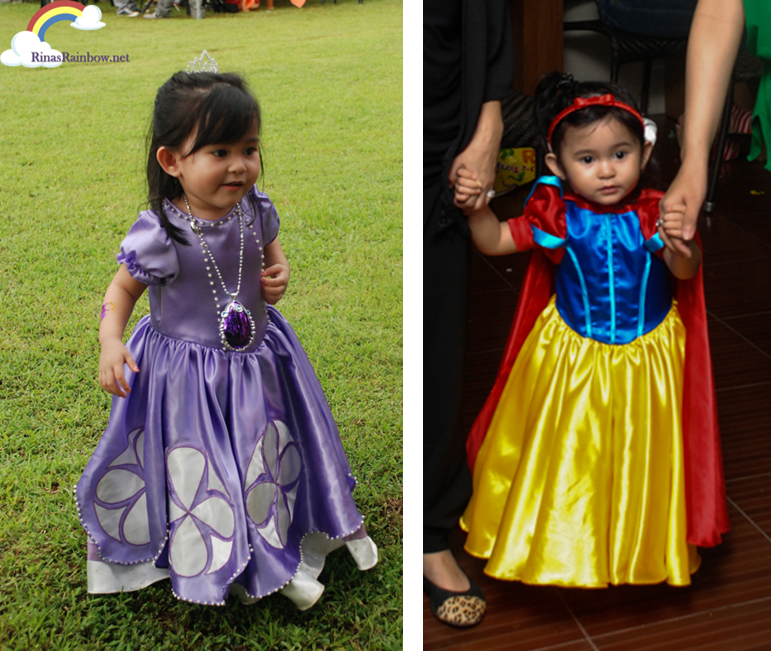 Because Rain really really likes dressing up, and since it was a costume party, we thought it would be worth it to have some costumes tailor-made for her. 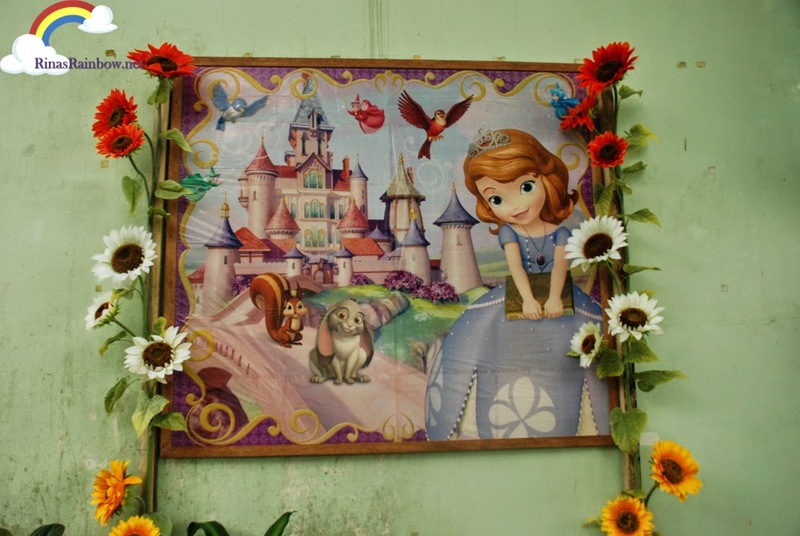 I thought she would be a great Snow White, and also that Princess Sofia would be fitting since she currently likes Sofia and plus she's a little princess! So I went to Kamuning Market in one of the tailor shops there of a seamstress named Janet. I have no recent frame of reference but mom said 7K all-in for these two gowns was reasonable. Then she dressed the cover up with plastic jewels so it'll look like a nice royal jewelry box! 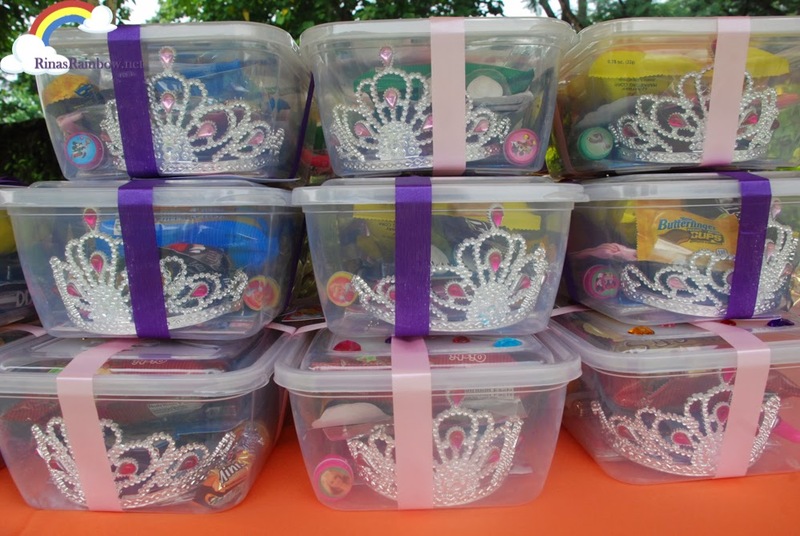 I bet even the moms really liked it because they can reuse it as a nice organizing case. 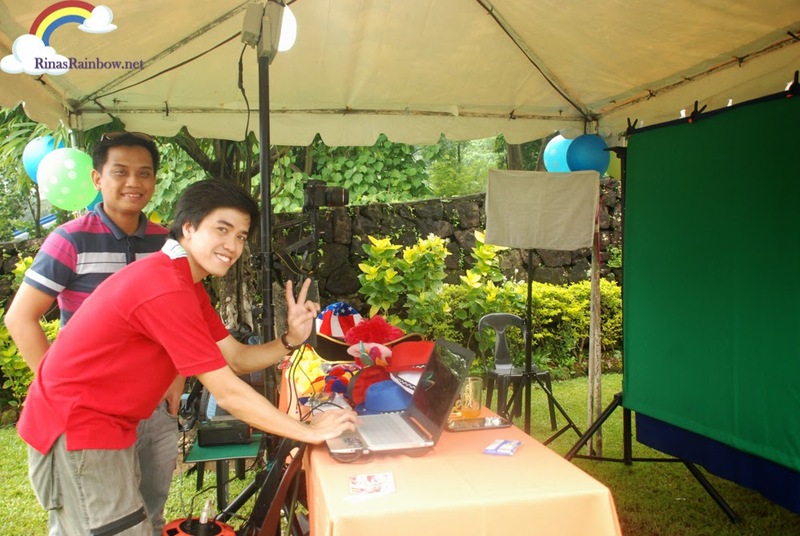 This year, Richie wanted to get a photo booth to add as a souvenir for the guests. I was able to get a cheap one (P3,000 unlimited photos for 2 hours) but of good enough quality. 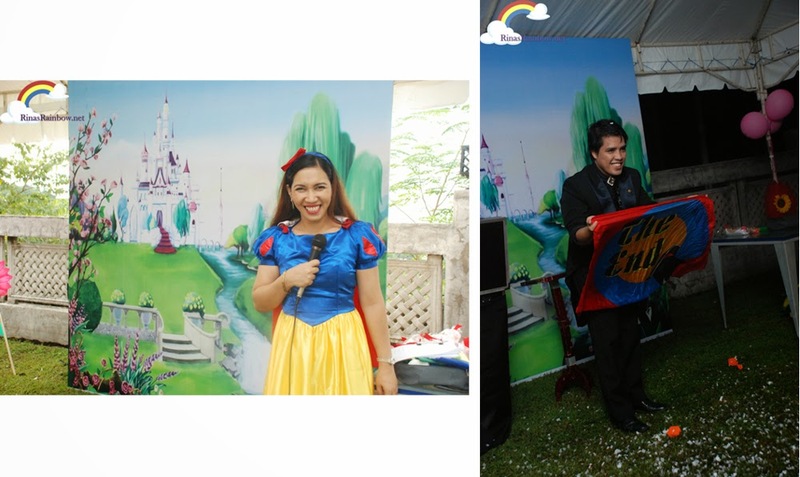 I got it from Sophia's Party Needs, and they sent over Shutterwinz Photo .As with everything else, you just have to make sure to double-check the design. I found their first design too noisy but I was pleased that they could edit it quickly on the spot. I believe less is more so I lessened the elements on their design. I also changed the font from a Disney font to a more royal script font. 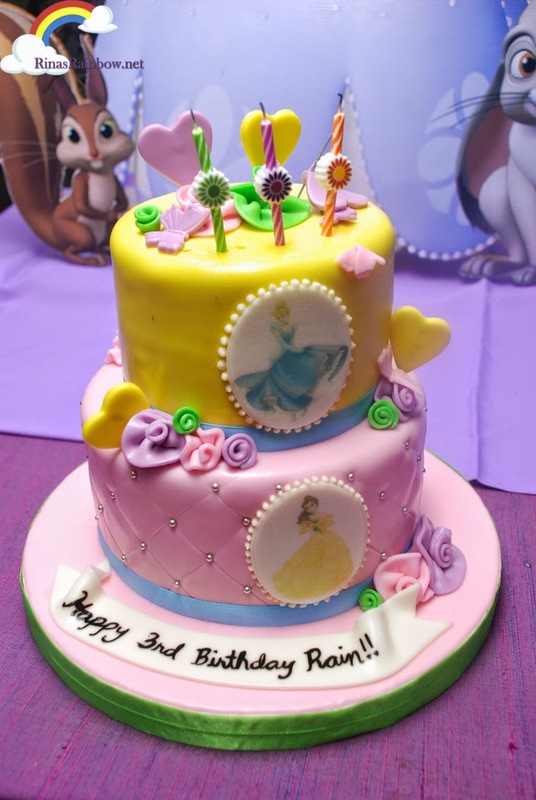 Thing is, I was focusing on the design too much that I completely overlooked the typo: Rain 3rd Birthday (they left out the 's after Rain's name) I didn't notice until the next day. Hopefully the guests didn't notice too haha! 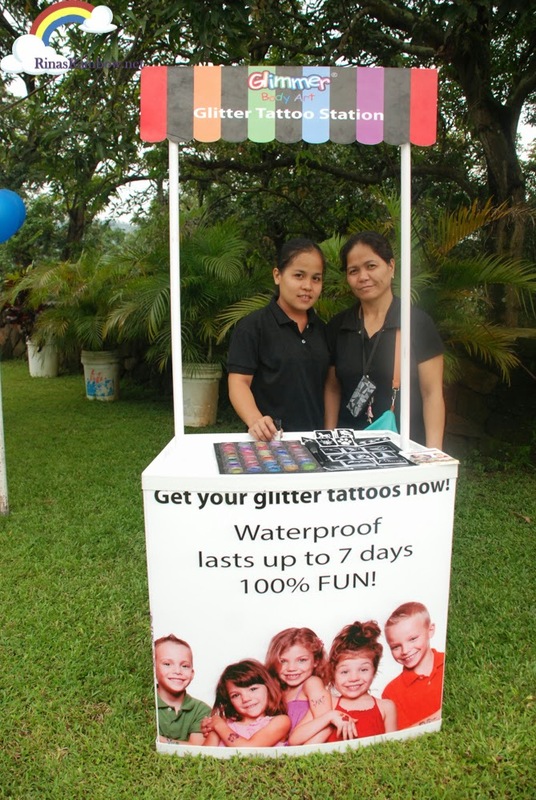 I saw Glimmer Body Art during this year's Best Food Forward event and everyone seemed to lined up to it. Plus it really looks pretty. 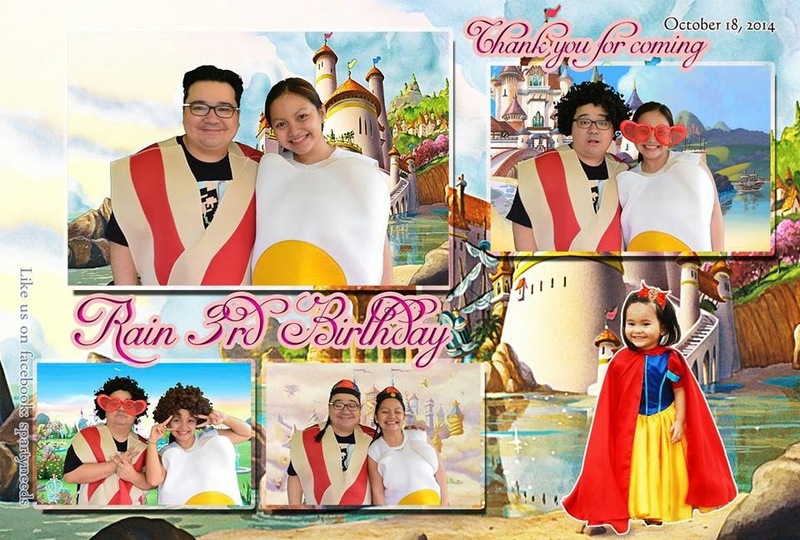 For P3,500 for 3 hours, I thought it would be a fun addition to the party. 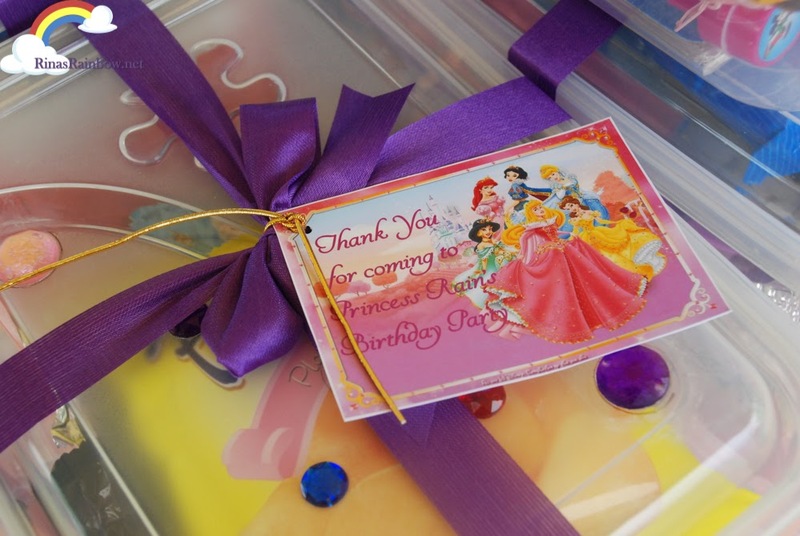 I love that they brought nice Princess designs to fit the party theme! 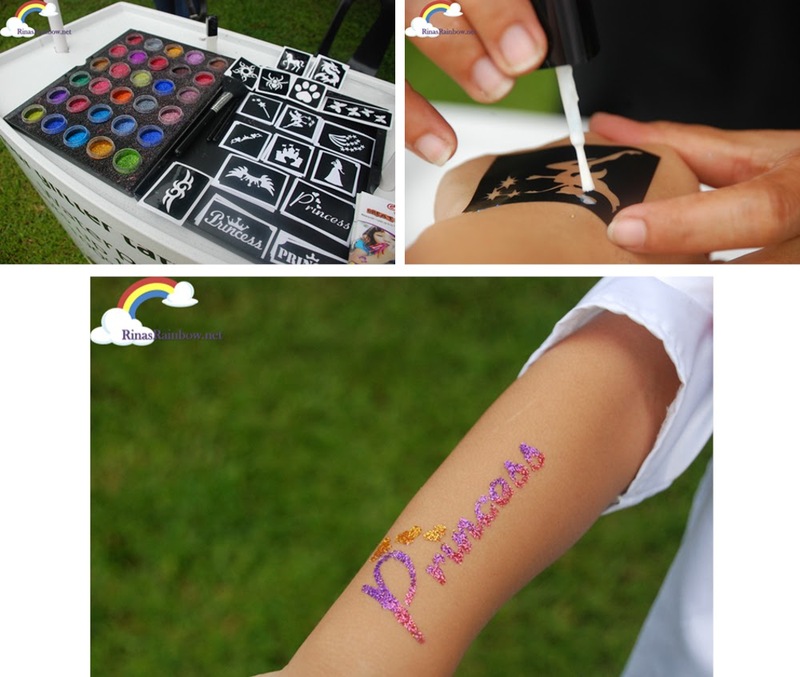 The materials are hypoallergenic and really lasts up to 7 days if you don't scrub it off hard with soap, water, and a wash cloth. I could never be a good host. Especially in front of family and friends. So I would much much rather hire someone to do it. So we did. 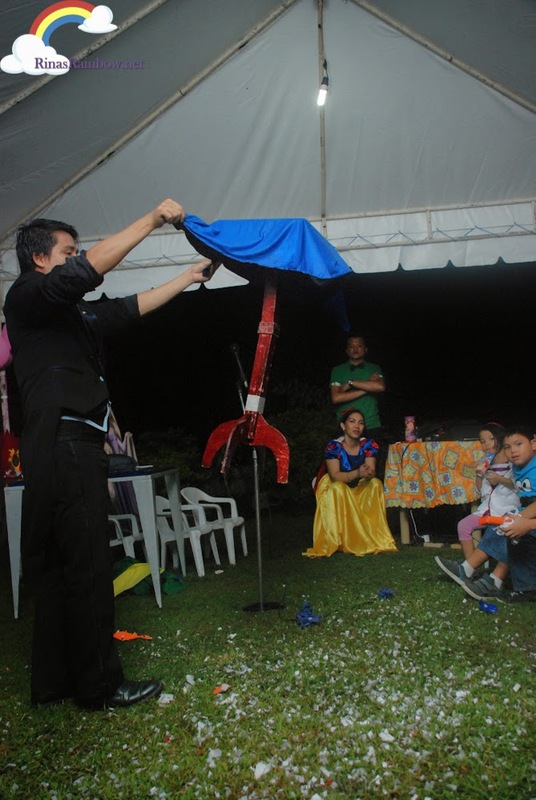 I had no idea hiring an entertainer / magician would be like booking a supplier for a wedding! They get booked really fast! So magician referred to a magician that referred to a magician until I got one that was available. Danny Dabu. He was easy to coordinate with. And for his package, he already included a host, Liz. They both turned out good in terms of organization and keeping the kids tuned in. and Danny's floating table was really cool! Perhaps the most memorable part for Rain is the special appearance of Olaf! A mascot by Splurge in Memories! The mascot person did her due diligence by coordinating with the magician and host regarding the program so he will know when he would come in. 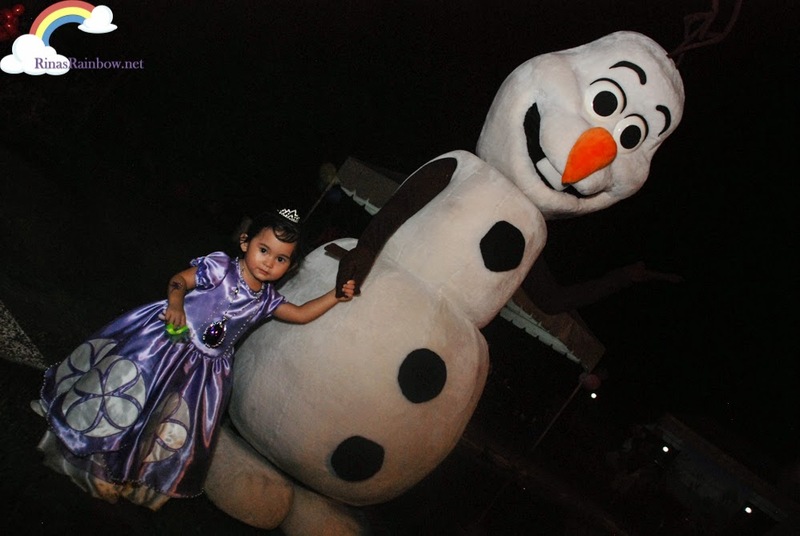 When his time to make an appearance came, he did a quick and funny dance number for the kids, and after taking photos with the kids, Rain decided she would hold Olaf's hand and walk him around the place and show him off to everyone! It was such a beautiful moment! 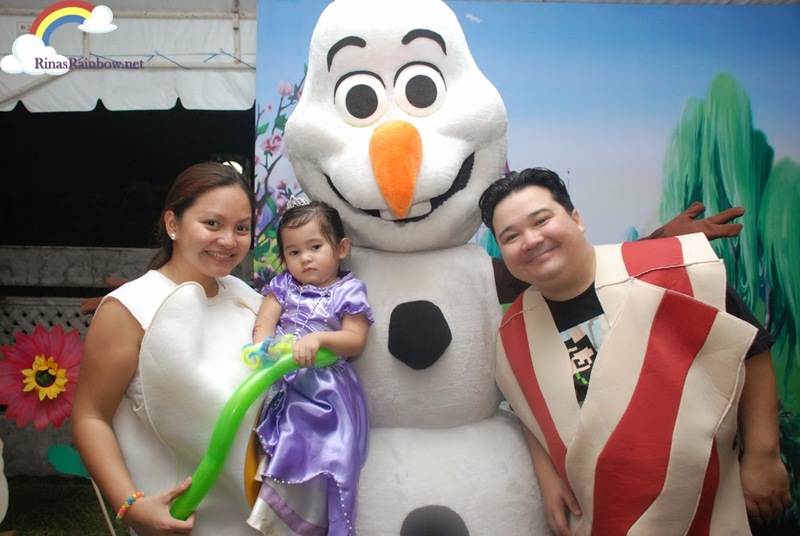 :') Check out the short video and more details on my blog post about the Olaf mascot HERE! 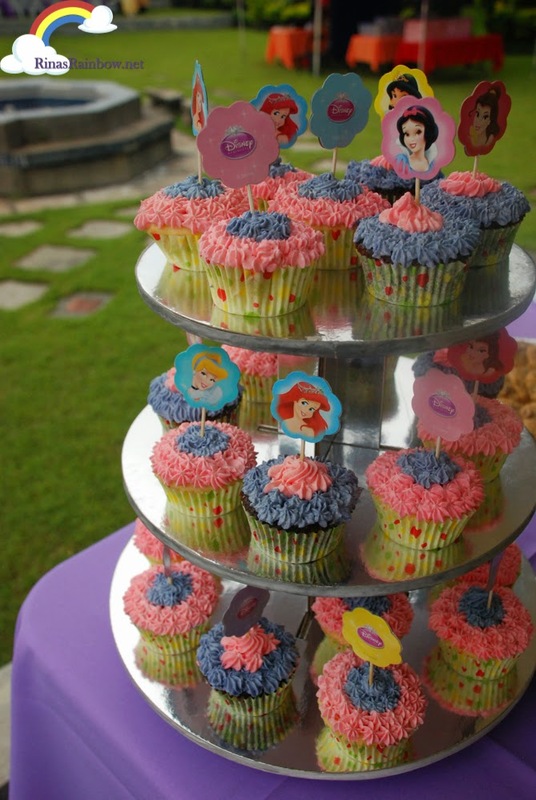 Princess cupcakes baked by my dear Brother in Law, Ryan! More desserts also made by Ryan, my brother in law! 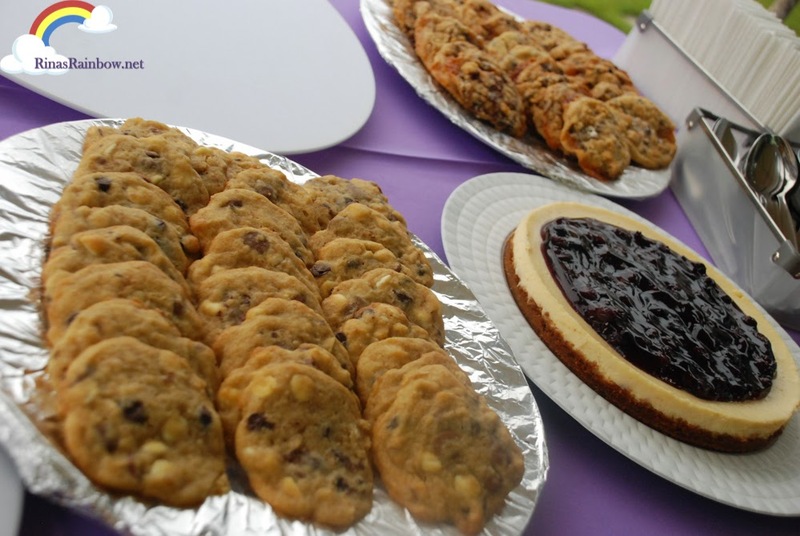 These cookies are always a hit among the guests during her birthday! Why? There's melted marsh mallows inside! 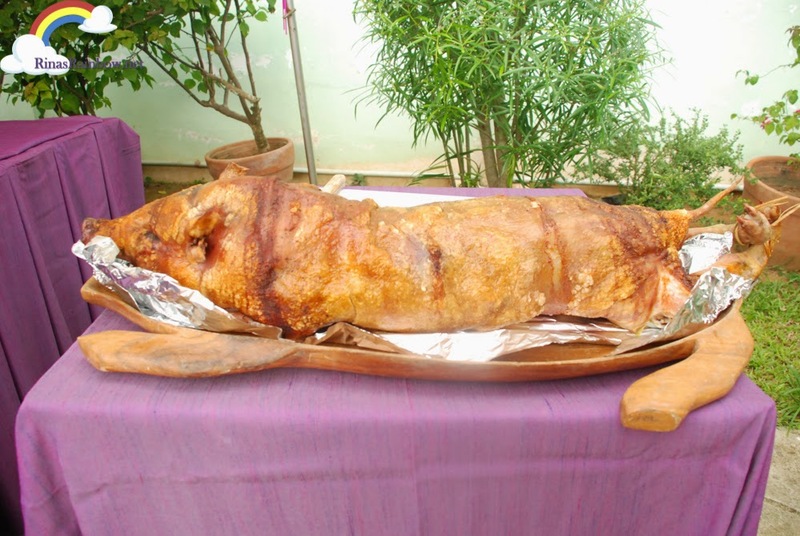 A Filipino celebration won't be complete without Lechon! This delicious one is from Diplahan Lechon, a lechon favorite! 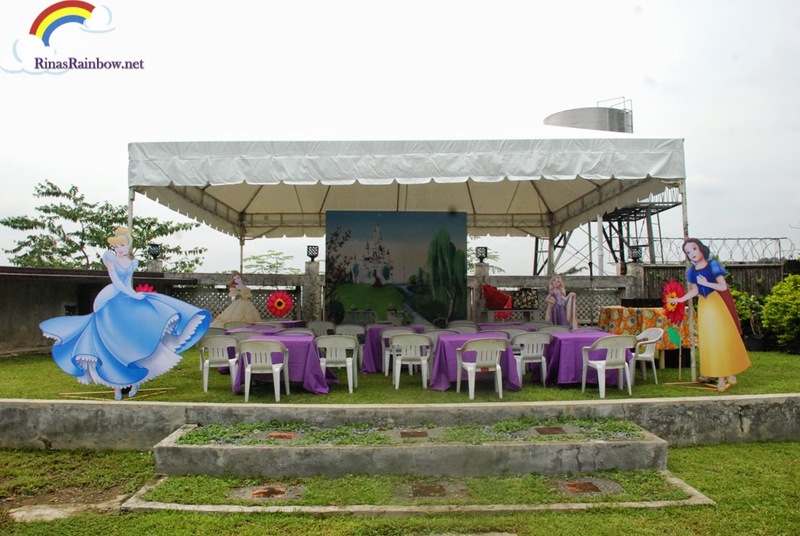 And of course, this party would not be complete without Ninang Peewee's delicious paella! 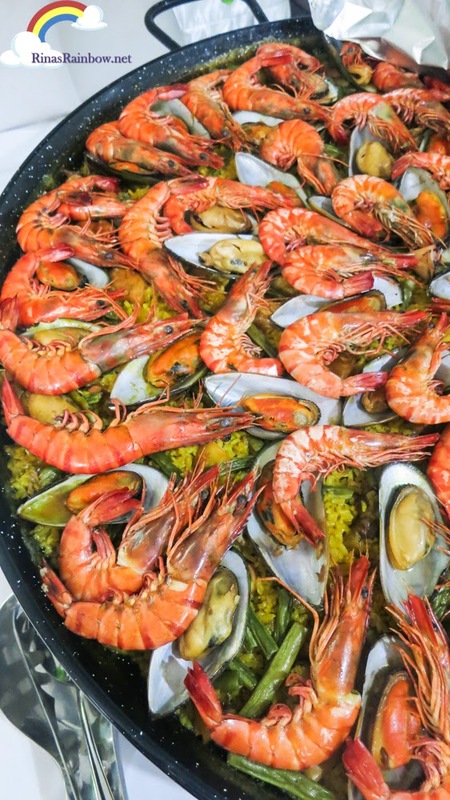 Seriously it's the best paella I have ever tried! No offense to other paellas out there. 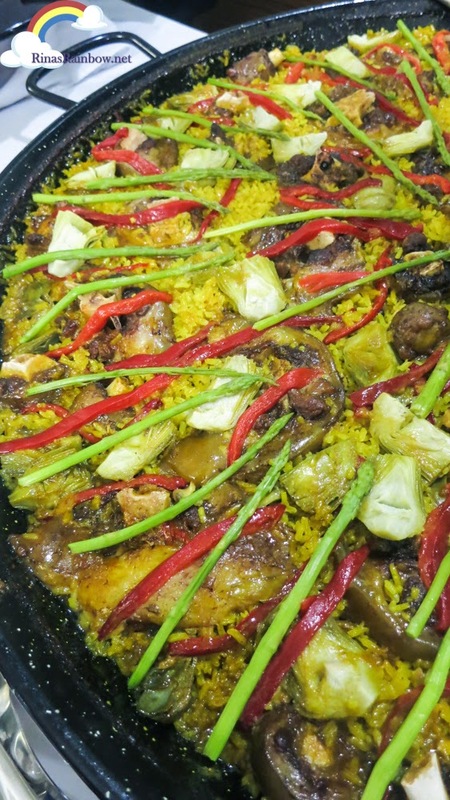 During Rain's party, there was Rabo Paella (Ox Tail), my personal super favorite! 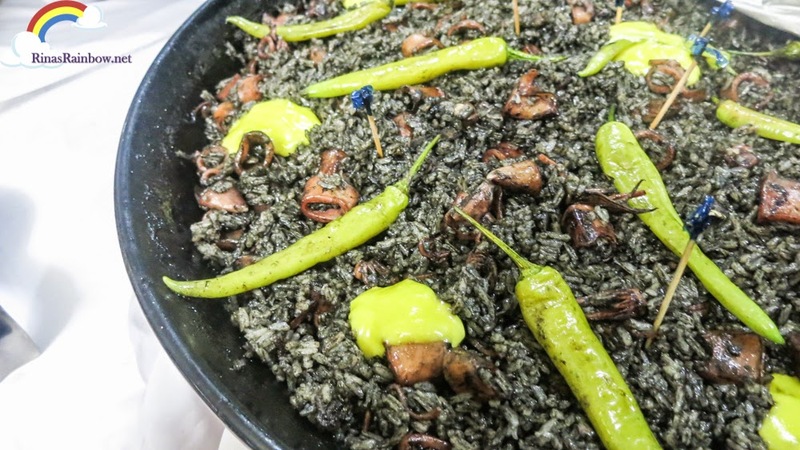 But for your reference, Ninang Peewee also has Paella Negra! My sister in law Rose also prepared beer battered fish, which was really good! And mom also had some delicious Swedish meatballs prepared. I think there were more but by the time they brought it out I was already busy taking photos of the games and welcoming guests :( So I wasn't able to take photos of those and a complete shot of the spread:( I seriously was not able to eat until night time. 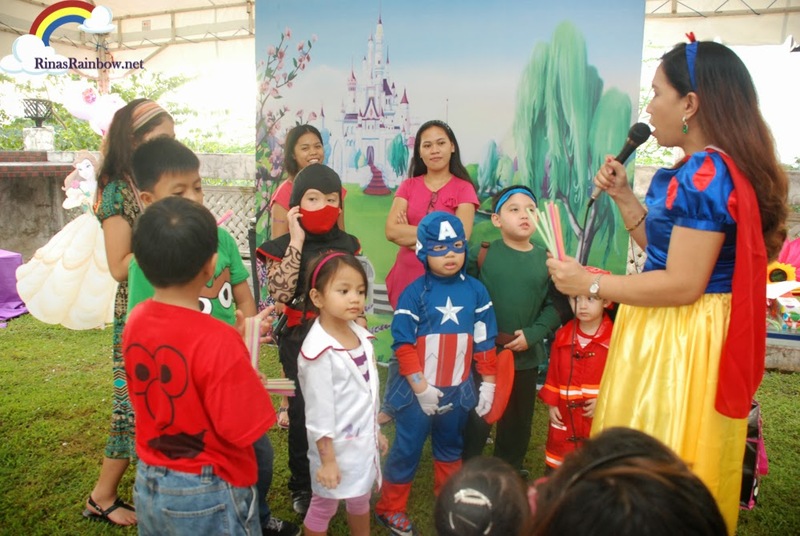 I think it's really like that when you're the mom of the celebrant haha! I'm sure other moms can relate! Mom also created kiddie meals for the kids so they on't have to line up with the adults at the buffet. It consists of spaghetti, my favorite garlic chicken lollipop, and for dessert, marshmallow cookies and a Disney Princess cupcake! 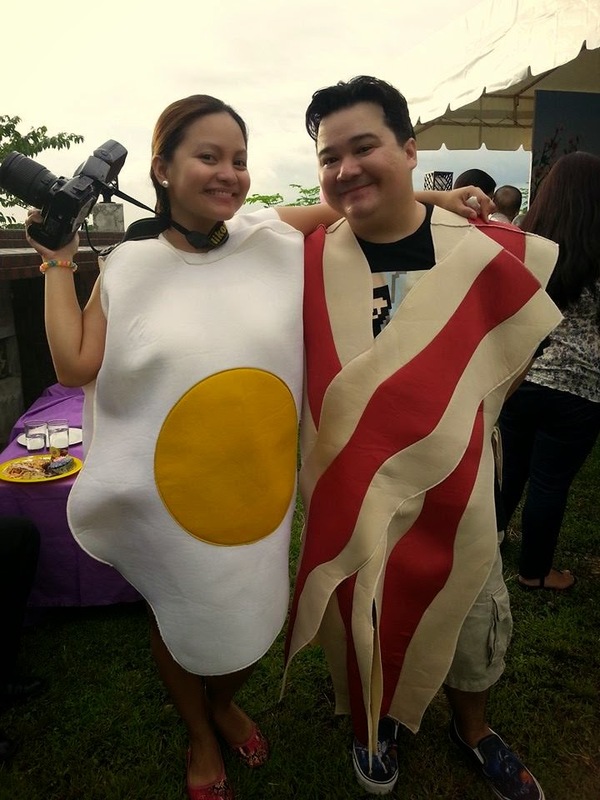 And here are the fun costumes of our guests! Everyone looked fab! The miracle was that all weather forecasts said it was going to rain that day. But it didn't. THANK YOU LORD FOR HOLDING UP THE RAIN FOR US!!! WE ARE ETERNALLY GRATEFUL! :') Once again, offering eggs at the church worked! Plus mom lit a candle the night before and prayed novena for good weather! 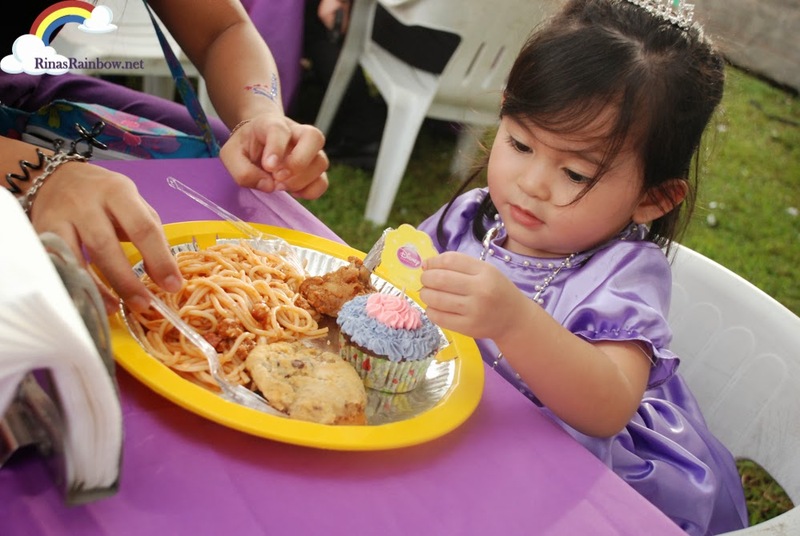 awwww happy birthday sweet Rain she's so pretty like a princess :) amazing party u guys! na miss ko bigla ung paella! 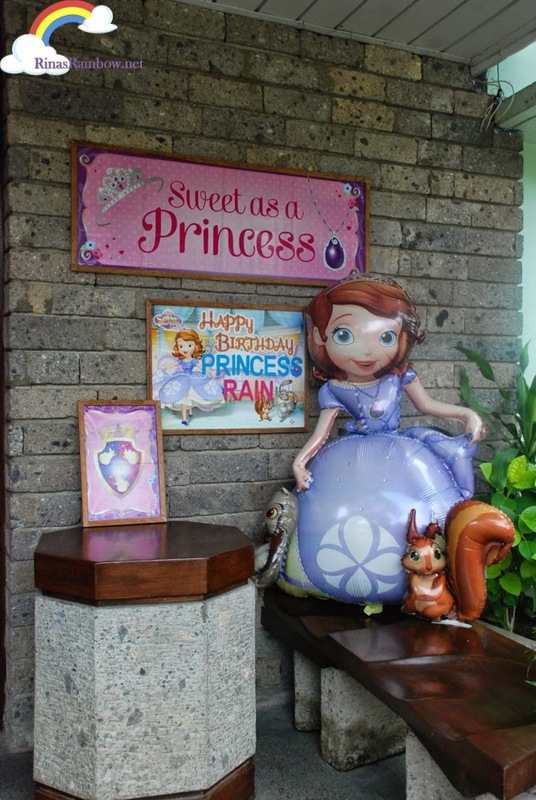 happy birthday rain pretty little princess(: everything looks so nice good job momi and dadi! It is very nice location in these pictures. Actually I want to know some information about DC venues for a small official party. Have you guys any suggestions? Please tell me. Mini Melissa Conquers the World! Jollitown Just Came to Life at The Big Fun Event! Krispy Kreme's Krispy Skreme Halloween Doughnuts! Swaddle Designs Available in the Philippines! New Palmolive Naturals' New Look! Amazing Deals In “Visit Discovery” Travel Mart!